Pregnancy chiropractic care offers many benefits to both the mom and the baby. 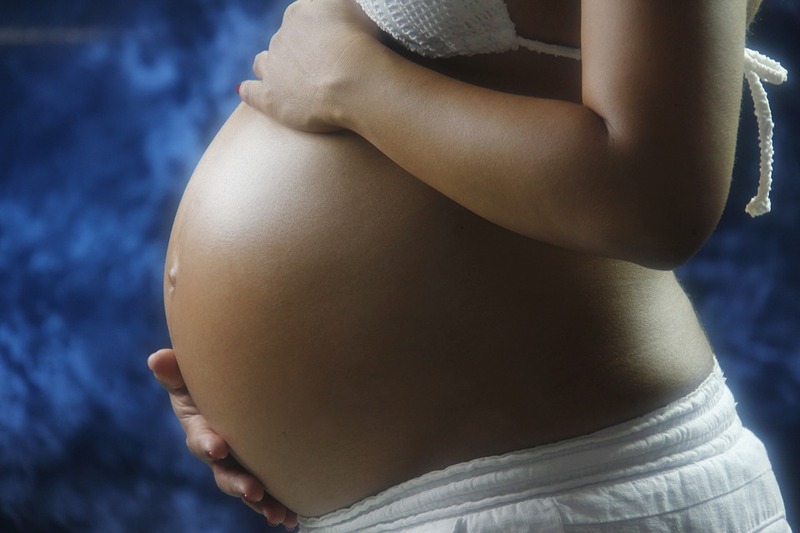 Many women who undergo pregnancy chiropractic care find that they have more energy. “A lot of women tell me that during the third trimester they are getting tired. You don’t want to be tired as your body needs to be at its peak to go through the big push.” When they get adjusted and are sleeping so much better, they’ll have the energy that helps to facilitate that birthing process. Baby will experience benefits as well. A German medical doctor found that 80% of the time in a normal, natural birth the upper neck of a baby was damaged or subluxated. That can set off a whole host of health problems ranging from colic to gastro reflux to ear infections, allergies, and sinus problems. These problems can then cause future issues down the road such as tubes in the ears, being on antibiotics and other medications. The doctor also found that if there was any intervention in the birth (e.g. c-section or forceps) that the damage rates went up to 95%. It’s a good idea even if you’ve had a great birth to get your baby checked to make sure everything’s functioning properly. Dr. Nicholas has adjusted his children since they day they were born. Generally we see women once a week during pregnancy, sometimes more sometimes less depending on the situation that they’re in. From day one we want to have a good plan of action. The Webster Technique is a big part of Dr. Nicholas’s analysis. He also uses a special table that allows a pregnant woman to lie face down so they can be adjusted like anyone else because of the way the table works. There are no contraindications to adjusting a pregnant woman unless Dr. Nicholas finds any issues. Dr. Nicholas will use the Insight Subluxation Station system to perform a nerve system scan that is completely noninvasive. The scan shows us how well your nerve system is functioning. It gives us an idea of what kind of stress your body is under and how we’ll help you deal with that. We don’t take X-rays on pregnant women for obvious reasons. “I want to make sure the pregnancy of every woman who comes in will be what they hoped it could be.” Many women are disappointed when an intervention is necessary. We will do whatever we can to help you have a great birth experience, whether it’s in the hospital, home setting or somewhere else. It’s our goal to help you be strong and healthy enough to have a birth experience without having many interventions, so you have time to bond with your baby! Dr. Nicholas’s wife is training to be a midwife. Because of her training, he has accumulated a lot of great resources to help moms-to-be. Discover how chiropractic care can help you have a more comfortable, enjoyable pregnancy! Give us a call today to find out more!